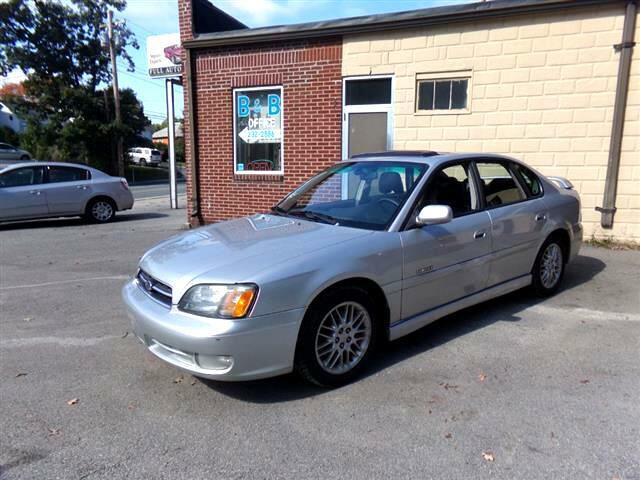 Our 2002 Subaru Legacy GT Limited is a solid, tight sedan that will inspire confidence when the going gets nasty. It offers a refined drive that's surprisingly agile in a sensibly sized package that won't bust the budget. Subaru's all-wheel-drive system is among the best in the world and performs beautifully in slippery conditions. This GT comes with a 250-hp 2.5-liter Flat 4-cylinder engine and a automatic transmission under it's hood that promises to serve you well! Add in the AWD, and you can go almost anywhere in this Legacy! Inside, our GT Limited has a functional layout and shows good fit and finish of suitable materials. Bottom line, this car is worth a test drive if you are shopping in this class. It's what you're looking for....quality, power, safety, amenities, reliability, all at a value price. Print this page and call us Now... We Know You Will Enjoy Your Test Drive Towards Ownership! Visit B&B Auto Sales online at www.bandbcars.com to see more pictures of this vehicle or call us at 401-232-2886 today to schedule your test drive. Message: Thought you might be interested in this 2002 Subaru Legacy Sedan.